Randy Alston: College Night at CLBC! Yesterday we had the privilege of going to Edison College to hand out flyers for our upcoming College Night at CLBC. Below is the flyer we handed out. If you are in the Fort Myers area we would love to have you with us. 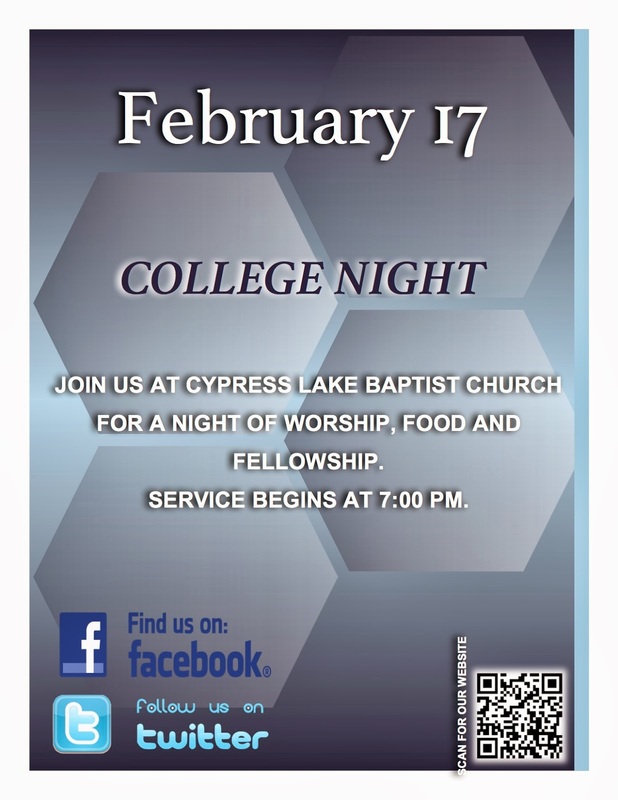 Though we are calling it a college night, we welcome anyone who would like to come! This coming Monday, February 17, at 7:00 PM we will begin. We plan to have a great time singing, praying, and preaching/listening to the Word. Then we will have pizza and desserts in the Fellowship Hall. Hope to see you Monday!